Welcome to the world of Middle School! We all remember that awkward and confusing phase of Middle School, the years of transition from elementary to high school. 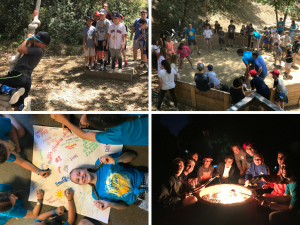 Our Middle School Youth Ministry helps young people navigate through those challenging years through the lens of their Catholic faith. Once a month, we welcome all 6-8th graders for a time of games, snacks, and fellowship. It’s a great opportunity to make new friends and also have some fun! These are held on Friday nights 7:00-8:30pm. Kids are welcomed to bring friends! 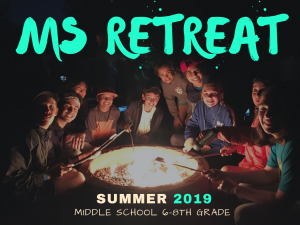 Please visit our Middle School Youth Ministry page for more information. 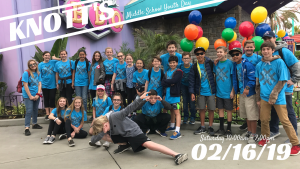 MSYD (Middle School Youth Day) is an event geared to the Middle School Catholic youth community within the Diocese of Orange. The event is from 10:00am-2:00pm includes worship, prayer, games, talks that are relevant to those in Middle School. Afterwards we will enjoy the park! We will carpool from Holy Trinity along with other parent volunteer drivers. ADULT CATECHIST (LEADER): Adult Catechists are assisted by college & high school leaders to implement lesson plans and help facilitate dialogue within the group of Middle School students. Lesson plan and materials will be provided. This commitment lasts through the full Faith Formation year Sep-May. 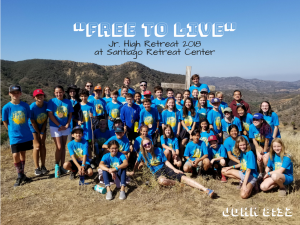 HOSPITALITY: Provide snacks and treats, cookies, cupcakes, donuts, small water bottles and other goodies for Youth Nights (Fridays once a month). GIFT CARDS: $5 (or more) gift cards to places such as Yogurtland, Starbucks, Juice-it-up, In-n-out, Baskin Robbins, etc. These are given as prizes for Home Faith Discussion drawings and games. DRIVER/TRANSPORTATION: I am willing to drive youth to and from events. PARENT TEAM: Interested in being part of a team of parents who begin to plan and implement activities for the middle school youth.